Some ideas burst into the air like a rocket. Others quickly fizzle off into the night like a bottle rocket. There’s a big difference between an “idea” and a “great idea”, right? Fortunately, there’s also a simple process that you can follow to get great ideas for your membership site. If you’re unsure how to begin and are stuck for ideas, try out these tips. Your next membership site may not be that far away. Begin by brainstorming your own life. Get personal! Creating your membership site is going to be much easier if you know a little bit about the market. That’s why it’s a great idea to start your ideas list with hobbies, interests and activities from your own life. Write down everything that you and your family members are passionate about or interested in. This list could be a goldmine for your membership site. Ebook and video course creators have done a lot of niche market research in order to create their products. You can piggyback on this research specifically by keeping an eye on “product launches”. For example, if you see a lot of products being produced on article marketing you can safely assume that a membership site on the same topic would do well. Subscribe to email lists in your potential market to watch for product launches and get ideas for your site. Persuse means “to examine in detail”. It also begins with “p” so it fits my outline. If you want a comprehensive list of existing electronic products that are selling well, Clickbank Marketplace is the place to go. Search through the marketplace to find out what topics your market is interested in learning about. You’ll be able to find new market ideas, content to fill your site as well as affiliate offers to create some backend sales. Visit Amazon.com’s best-seller list. Amazon is the top bookseller online so it makes sense to search their marketplace for membership site ideas. The bestseller lists in various categories will help you see what topics are popular. 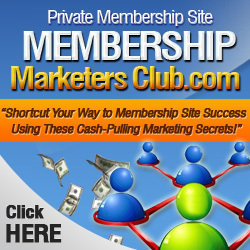 You can easily gather membership site ideas from these lists. Hint: Go with the topics that are popular. Forums are the pulse of your market. You can be sure that a market has members that would be willing to pay if there is an active forum dedicated to that topic. Track down some popular forums in your potential market and spend some time browsing through the topics. See what the market is talking about. Pay close attention to the FAQs section and the threads that have a lot of activity. These are indicators of the kinds of topics which might serve as a topic for your next membership site. You gotta go to Magazines.com! This website is full of membership site ideas. If a market has a buying audience, there is probably a magazine out there dedicated to it. Magazines don’t get started without advertising dollars to back them up. If advertisers are paying to get to a market, it’s a safe bet that you can create a membership site for the same market. On Magazines.com you can search by category to find membership site ideas. I love this place! The final stop I want to mention is Yahoo groups. These free e-mail discussion lists cover a wide variety of topics. Subscribe to a few groups in your potential market to look for ideas. The benefit of using groups like these is that you’ll often be able to see problems in the market that aren’t currently being met by other products. By going through these simple outlets you are sure to find a great idea for your next membership site. If you’d like a shortcut for finding a great idea — and an even bigger shortcut to getting a membership site setup and taking orders, grab a copy of the Membership To Go package. Membership To Go is a complete, one-year membership site that you can license for your own use. This has never been offered before and it includes EVERYTHING you need to get started, including private label rights to the membership content, its sales letter, presell report, articles and other marketing materials. Plus, the topic is related to one of the most popular niches in the world. A market that has had multiple million dollar launches, countless sales every single day and a huge marketplace of potential buyers. Answering the Question, "What Do You Do for a Living?" 10 Key Strategies for Any Business Owner to Earn More, Work Less, and Enjoy Life!